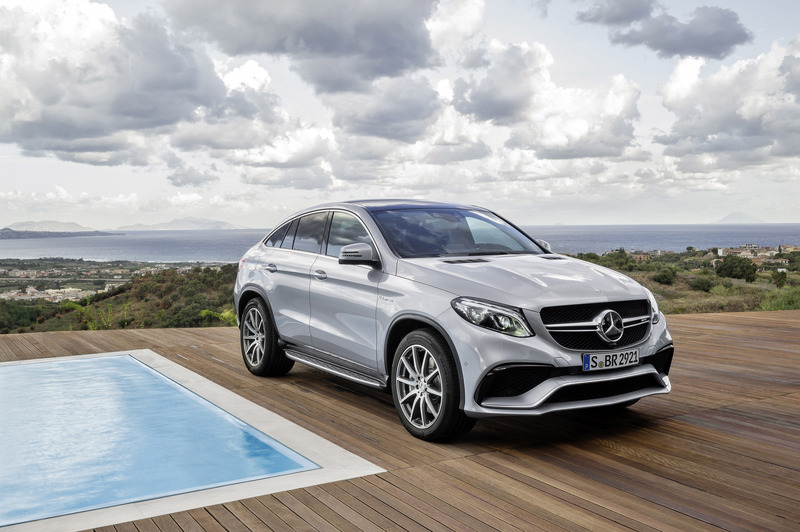 With the new GLE63 Coupé, Mercedes-AMG is in highly dynamic mood as it enters the 2015 automotive year. As another exciting interpretation of a four-door coupé, the commanding SUV meets the highest of standards in terms of performance, design and comfort. The powerful heart of the vehicle - the AMG 5.5-litre V8 biturbo engine - beats even faster in the new Mercedes-AMG GLE63 Coupé: in addition to the variant generating 410 kW (557 hp), there is also a highly sporty S‑Model to choose from which is rated at 430 kW (585 hp). The perfect prerequisites for a highly dynamic on-road driving experience come courtesy of the suspension, which has been systematically designed for a sporty performance. 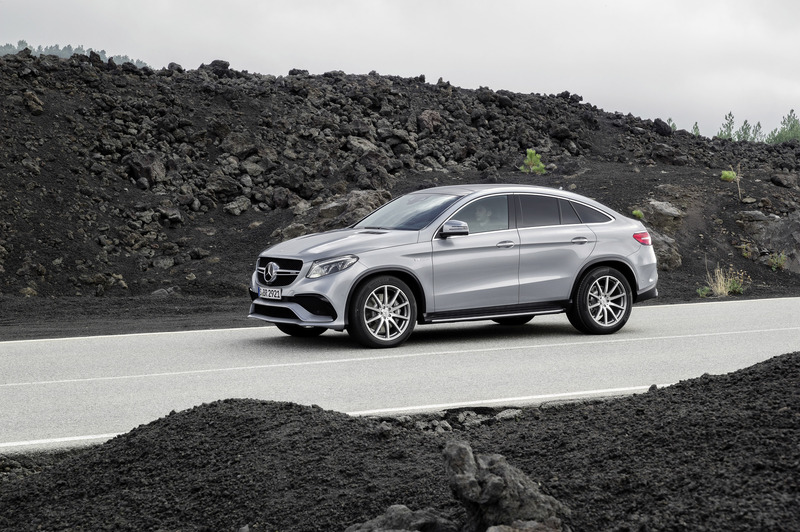 The high-performance SUV coupé comes with the AMG RIDE CONTROL sports suspension with active roll stabilisation ACTIVE CURVE SYSTEM and the Sports Direct-Steer system. The 4Matic all-wheel drive with rear-biased power distribution and the DYNAMIC SELECT transmission modes promise to deliver what distinguishes every AMG vehicle: driving performance. Tobias Moers, Chairman of the Board of Management of Mercedes-AMG GmbH: "We see great potential in this vehicle segment, which is new to Mercedes-AMG. 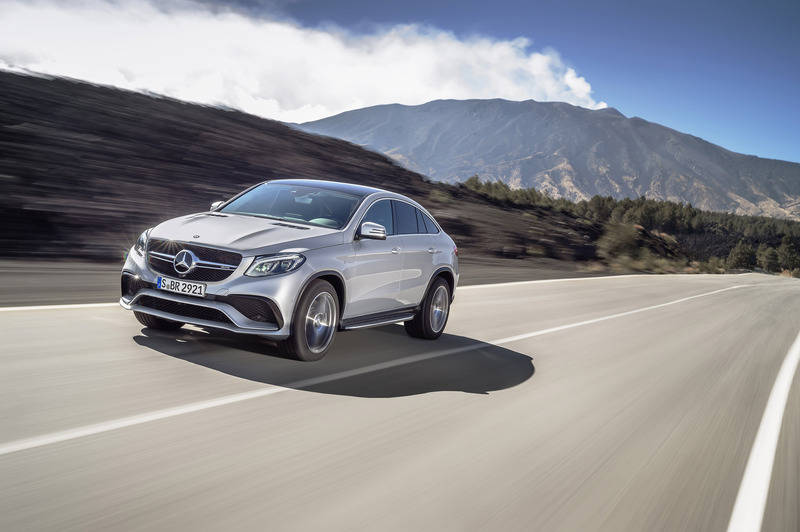 The GLE63 Coupé is the logical progression of our ambitious growth strategy - after all, in 1999 with the first high-performance SUV ML 55 AMG, we established a completely new segment. 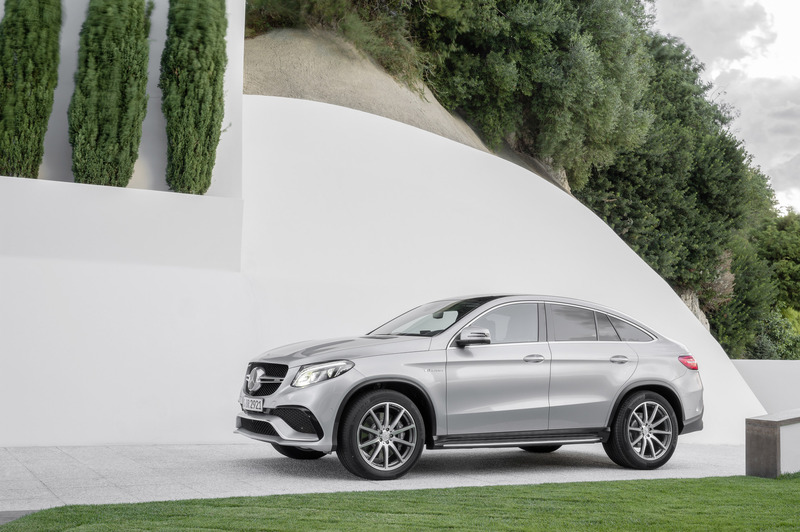 The new GLE63 Coupé will inspire SUV fans focused on dynamics while at the same time representing a new interpretation of driving performance." 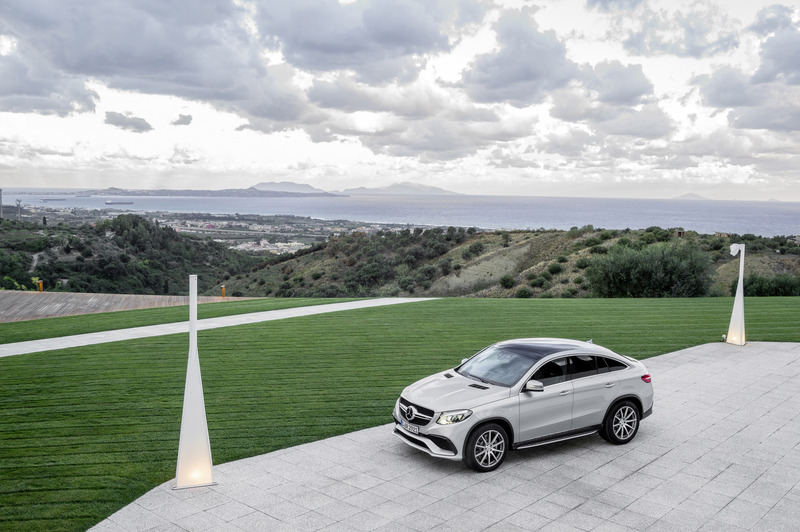 The new GLE63 Coupé combines the sportiness of a coupé with the strengths of an SUV. High agility, distinctive engine sound and typical sports car acceleration are united with poise and assurance, tremendous pulling power and perfect traction. The typical SUV raised seating position and effortlessly unhurried superiority on the road, paired with typical AMG longitudinal and transverse dynamics and direct response to driver commands, result in an intense driving feel. The wide choice of different worlds of experience is based, among other things, on the DYNAMIC SELECT transmission modes, which for the first time permit such a wide spread of driving dynamics. The five transmission modes of "Slippery", "Individual", "Comfort", "Sport" and "Sport Plus", which the driver is able to select using a rotary control on the centre console, deliver fundamentally different driving dynamics. Be it the response of the engine, the shift strategy of the transmission, ESP® thresholds, power assistance for the steering or characteristics of the dampers: the system networks all the control systems, generating different sets of parameters for distinct driving experiences. 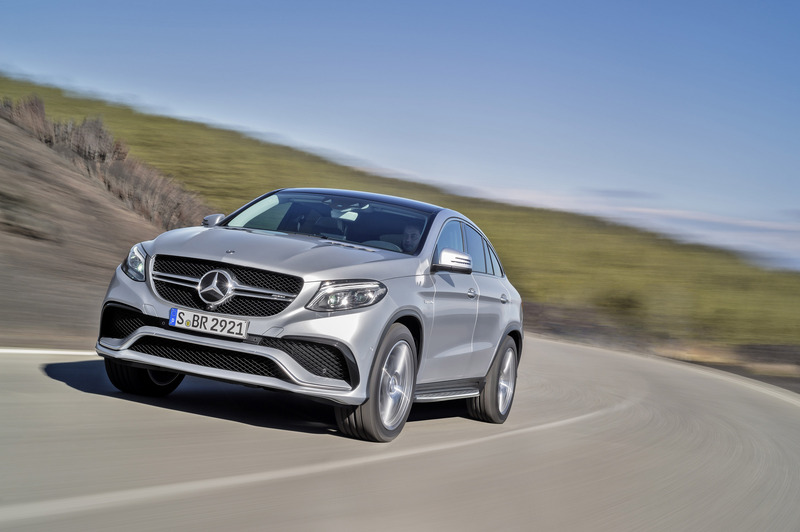 In terms of drive system, GLE63 Coupé customers have a choice between powerful and extra-powerful: the AMG 5.5-litre V8 biturbo engine develops a maximum power of 410 kW (557 hp) and a torque of 700 Newton-metres. The S‑Model raises the respective values to 430 kW (585 hp) and 760 Newton-metres. The difference in output and torque comes courtesy of a higher maximum charge pressure. 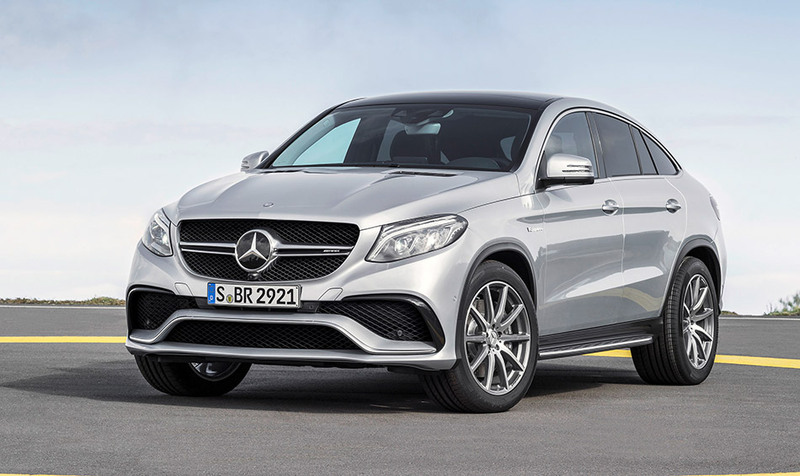 Whichever variant the customer opts for, the 8-cylinder powerplant, which is assembled according to the "one man, one engine" philosophy, delivers the familiar powerful performance: thus, the GLE63 Coupé accelerates from 0 to 100 km/h in 4.3 or 4.2 seconds (S-Model). Fuel consumption values of 11.9 litres per 100 kilometres (NEDC (combined); CO2: 279 g/km) and compliance with the EU6 standard demonstrate that maximum power, efficiency and environmental compatibility are by no means mutually exclusive for Mercedes-AMG. 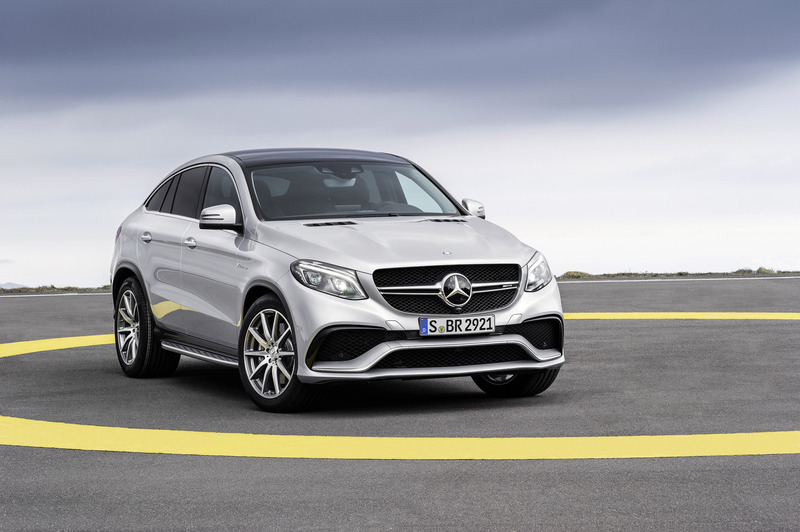 As customary for a typical AMG model, the sound from the new GLE63 Coupé is unmistakable. Customers can further emphasise the distinctive engine sound from the sports exhaust system, because a Performance exhaust system is optionally available for both output variants. Those who value a more noticeable sound can opt for an even more emotively appealing V8 engine sound - and can experience the dynamic performance even more intensely. The M button allows the driver to emphasise the sporty character and to shift gear exclusively using the steering-wheel shift paddles. As the seven-speed automatic transmission now shifts independently neither on kick-down nor upon reaching the maximum engine speed limit, it is possible to savour the tremendous pulling power in all engine speed ranges. Further specialities for the dynamically focused driver: the automatic double-declutching function when shifting down and the short-term M mode, which combines the performance of manual gear changes with automatic up- and downshifts. This allows the driver to enjoy the vehicle's impressive performance to the full. If the driver has shifted up or down manually using the shift paddle, the transmission independently switches back to the automatic shift mode after a set period of time. The seven-speed automatic transmission features a dual-turbine torsional damper with speed-sensitive centrifugal pendulum, which minimises vibrations while enhancing the passengers' perceived comfort. With 4Matic permanent all-wheel drive, Mercedes-AMG uses a specially designed transfer case: this exclusive solution distributes the drive power in a ratio of 40:60 between the front and rear axles, resulting in greater agility about the vertical axis of the vehicle. The pay-off for the driver: even greater driving pleasure during high-speed cornering. The AMG RIDE CONTROL sports suspension with AIRMATIC package, consisting of air suspension, special damper struts, automatic level control and infinitely variable damping characteristics ADS Plus, is combined with active roll stabilisation ACTIVE CURVE SYSTEM. This standard-fit system employs active anti-roll bars on the front and rear axles to reduce the body's roll angle during cornering. The reduced roll angle and outstanding cornering properties make for enhanced transverse dynamics and driving pleasure. At the same time, the system provides increased driving stability and, therefore, safety, especially at higher speeds. Roll stabilisation, damping and suspension adapt automatically to the prevailing driving situation, offering both optimum ride comfort and maximum stability. The damping system changes its area of emphasis depending on the preselected DYNAMIC SELECT mode. "Sport Plus" mode puts the emphasis on maximum possible transverse dynamics. Conversely, "Comfort" mode enables maximum ride comfort. The fully load-bearing air suspension system is speed-sensitive, lowering the body at higher speeds in order to minimise drag while increasing driving stability. The current operating conditions are detected via the steering angle sensor, four level sensors, three body sensors, the driving speed as well as the positions of the brake pedal and accelerator. The control unit uses these signals for infinitely variable adjustment of the current damping force required for each individual wheel. Perfect interplay between all systems makes for a superior experience in the cockpit - whatever the driving situation or road conditions. As an additional bonus, DYNAMIC SELECT modifies the driving dynamics in no time at all. 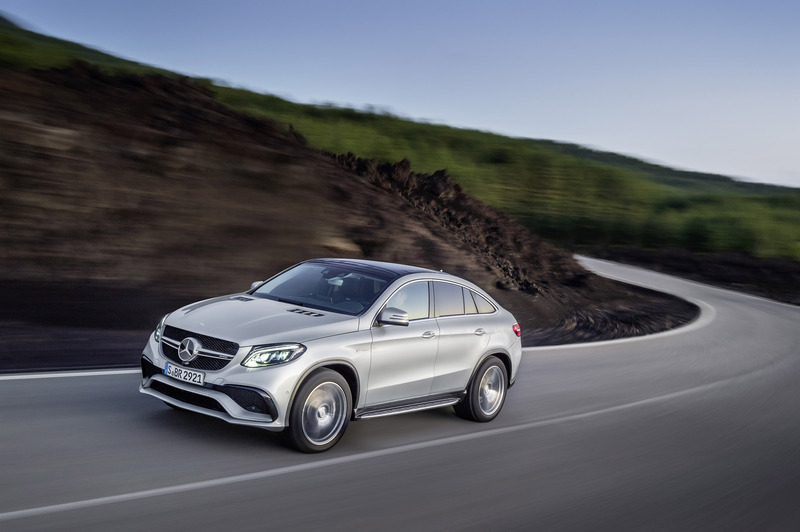 The GLE63 Coupé adapts its character at lightning speed, depending on which transmission mode is activated. In "Comfort" mode, the control thresholds of the dynamic handling control systems ASR, ESP® with Dynamic Cornering Assist and the all-wheel drive control system 4ETS are configured for moderate, restrained dynamics. "Sport" and "Sport Plus" permit greater longitudinal and transverse dynamics for more intense driving pleasure. In "Slippery transmission" mode, on the other hand, the focus is on optimum traction and maximum driving stability in adverse road conditions. "Individual" mode allows the driver to design their own personal set-up consisting of engine characteristics, shift strategy and damper settings. In combination with the AMG-specific Sports Direct-Steer system, compact Performance steering wheel, elastokinematics on the front axle and more robustly designed rear-axle stabiliser bar, the handling is outstanding in all operating conditions. The variable steering ratio makes for significantly improved agility, while high-speed driving safety is maintained. The variable power assistance is dependent on the vehicle speed and the DYNAMIC SELECT programme and adapts perfectly to the driving situation. Extremely short stopping distances and high stability: these are the strengths of the AMG high-performance braking system with all-round ventilated and perforated brake discs of size 390 x 36 millimetres (front) and 345 x 26 (rear) and silver-painted brake callipers with AMG lettering. Design: commanding, extroverted, proud and with "A-wing"
The Mercedes-AMG GLE63 Coupé skilfully embodies the firmly established principles of Mercedes-Benz design: sensuousness and clarity. The top-of-the-range V8 model from Affalterbach manages in an emotively appealing way to bring the fascination of motor sport to everyday life with a powerful dominance. A very first glance reveals the new four-door coupé to be an extrovert, proudly standing on its large wheels. 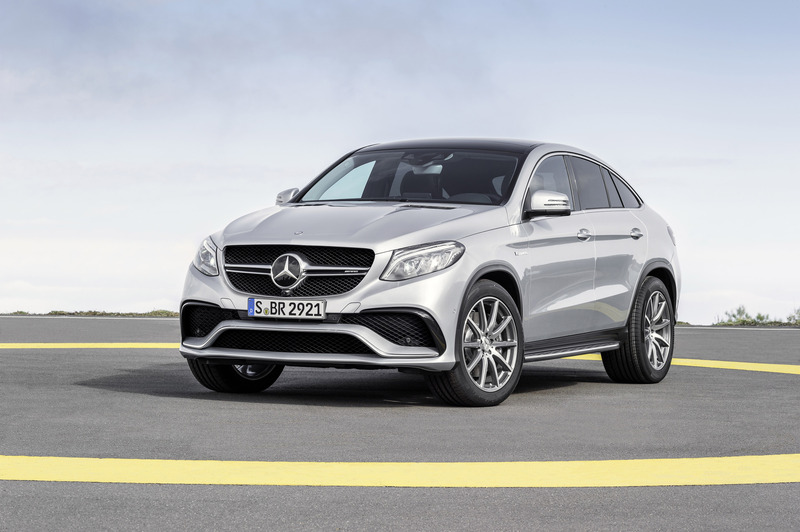 The GLE63 Coupé is the first SUV from Affalterbach to adopt the AMG design philosophy, familiar from many other high-performance vehicles, with the characteristic "A-wing" in the front apron. 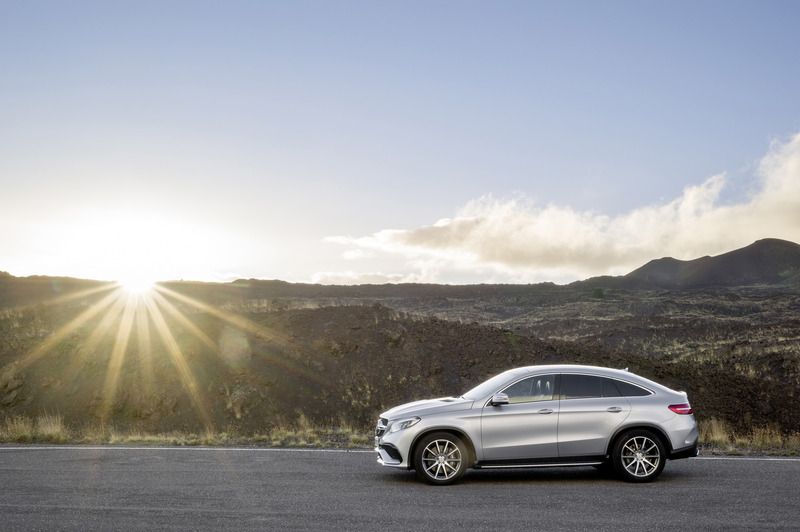 This makes the SUV coupé clearly recognisable as a member of the AMG model family. 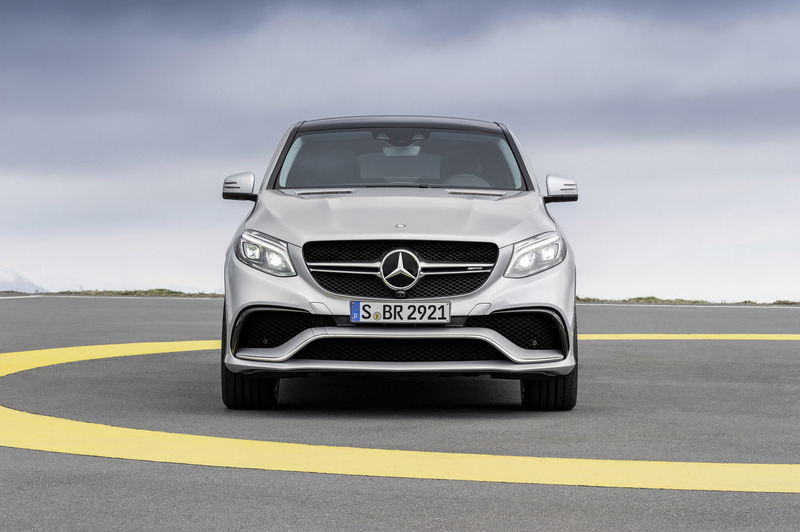 Viewed from the front, the model's sculptural design idiom is also defined by the bonnet with its two dynamic powerdomes and new radiator grille - as is typical of AMG, it features a twin louvre in silver chrome as well as a large, central Mercedes star. 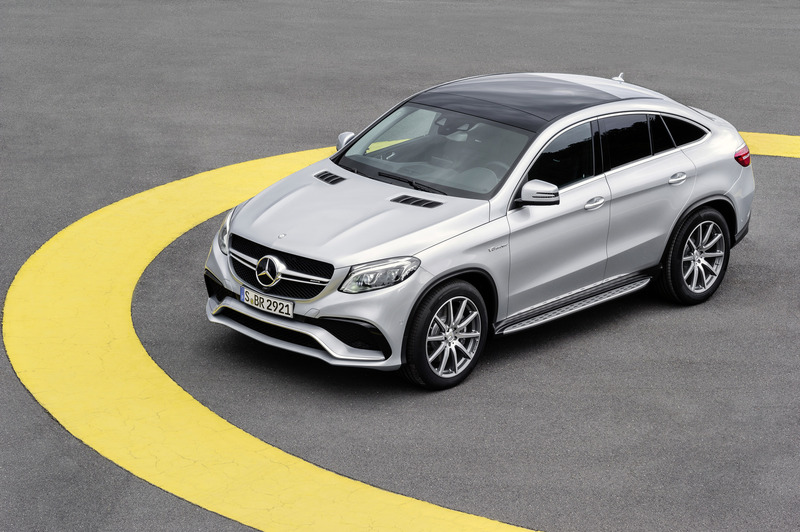 The GLE63 Coupé displays visual dominance with its "A-wing". This design feature in the form of the stylised "A", a hallmark of AMG, is three-dimensional and also serves as an air guide for the three air openings. The A-wing is painted in the colour of the vehicle, while the trim strip is in silver chrome. The new front view is especially characterised by the two lateral, large air inlets, while the above-positioned, black flics ensure an optimal flow of air onto the cooling modules. At the lower end of the front apron, a front splitter in the colour of the vehicle helps to reduce lift. The standard equipment package includes three-dimensionally formed LED headlamps. Flared wheel arches in black make for a systematic continuation of the visual dominance along the sides. 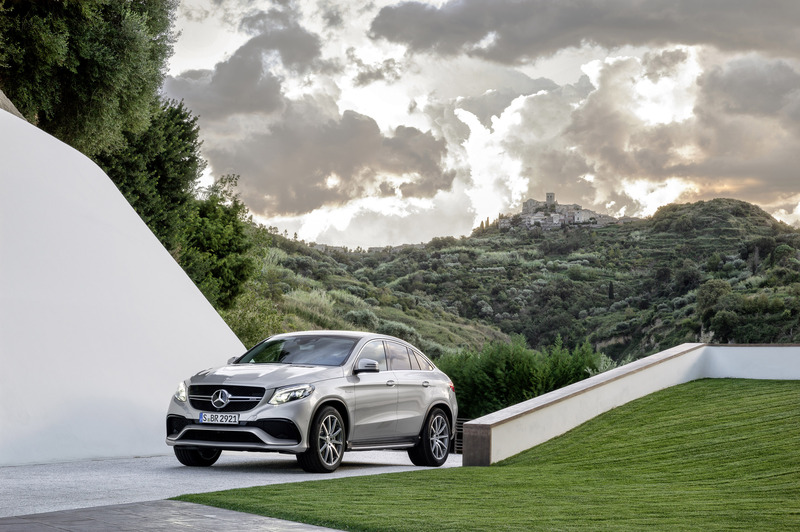 Behind the wheel cutout, "V8 BITURBO" lettering points to the superior engine power of the GLE63 Coupé. An even more distinctive look is optionally available from illuminated aluminium-look side running boards with anti-slip rubber studs. The extroverted look is enhanced by impressive AMG 10-spoke light-alloy wheels of size 53.3 cm (21-inch) with tyres of size 285/45 R 21 (front axle) and 325/40 R 21 (rear axle). The rear end of the vehicle shows clear similarities with the design of the S‑Class Coupé: with its narrow tail lights in three-dimensional look, above-positioned, broad chrome badge and prominently placed Mercedes star, the GLE63 Coupé has a decidedly sporty look. Mercedes-AMG reinforces the visual dynamics with some specific design elements: the spoiler lip on the boot lid further improves the driving stability at high speeds, while the visual, lateral air outlets in the rear apron improve the cd value. The AMG rear apron is given a dynamic look by diffuser fins and the integrated, chrome-plated twin tailpipe trims of the sports exhaust system. The shape of the silver chrome trim strip is reminiscent of the "A-wing" in the front apron. As a result of the new nomenclature, the prominent AMG lettering is placed to the left of the Mercedes star, with the model identification GLE63 to the right. The A-wing on the GLE63 S Coupé is painted in high-gloss black. In combination with the silver-chrome trim strip and black flics, this makes for an even sportier look. 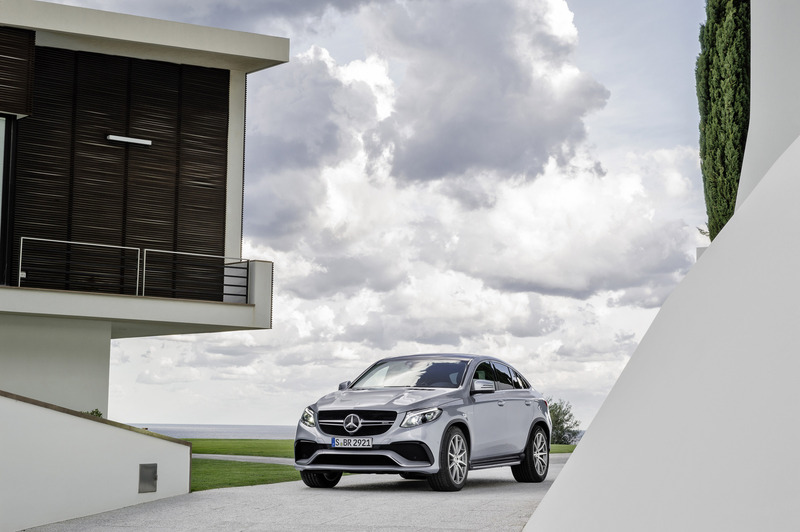 AMG cross-spoke light-alloy wheels of size 55.9 cm (22‑inch), painted in titanium grey with a high-sheen finish, ensure that the S‑Model exudes an even more impressive air. Optimum traction of the light-alloy wheels is guaranteed by tyres of size 285/40 R 22 (front axle) and 325/35 R 22 (rear axle). The GLE63 S Coupé is recognisable by its red-painted brake callipers; in addition, the GLE63 model identification bears a special "S". Like the exterior design, the interior of the GLE63 Coupé also boasts many exclusive design elements and appointments. High-grade materials, first-class precision and a luxurious quality feel produce a fascination potential typical of AMG. Trim elements in light longitudinal-grain aluminium provide clever highlights. Thanks to their specific upholstery with greater contouring and higher side bolsters at the front, the sports seats offer excellent lateral support. Perforated nappa leather, special seat upholstery layout with topstitching and AMG badges make for an exclusive look and feel, which is further complemented by the 3-spoke Performance steering wheel: the steering-wheel rim, with flattened bottom section, in black nappa leather with perforated grip area, assists a sporty driving style. Silver aluminium shift paddles with "UP" and "DOWN" lettering and a precise pressure point act as an invitation to manual gear changing. The instrument panel on the GLE63 Coupé is in black ARTICO man-made leather. The partially integrated central display visualises the individual DYNAMIC SELECT transmission modes with animated graphics. The centre console accommodates the COMAND controller with optimally ergonomically positioned touchpad; on the right is the DYNAMIC SELECT rotary actuator for the various transmission modes. Located above is the M button for the manual transmission mode. Two large round dials with silver chrome surrounds and the central 11.4 cm (4.4-inch) multifunction display provide the driver with comprehensive information. The typical AMG equipment package includes sporty dials in carbon-fibre look with 320 km/h speedometer scale and red pointers, as well as the main menu including RACETIMER, manual gear indicator and AMG start-up screen. Optimal infotainment is guaranteed by the Audio 20 CD system with eight loudspeakers and the Remote Online communication module for the use of Mercedes connect me services in Europe (may vary from country to country). The higher-powered Mercedes-AMG GLE63 S Coupé also offers genuine added benefits in the interior. For even more intense contact with the vehicle, the grip area of the Performance steering wheel is in DINAMICA microfibre. A sporty look also dominates the driver's field of vision: the instrument cluster has an even higher-class look with fine red scale graduations around the speedometer and rev counter and a grey decorative band. The passengers are accommodated on high-grade exclusive nappa leather upholstery. AMG medallions in the head restraints lend the interior a special, luxurious note. Set against black interior appointments, the grey seat belts and grey contrasting topstitching produce yet further highlights.